Maryland Pink and Green: Skinny Boots, Not Fat Calves. Shoe shopping used to be a safe area. You know your size, you buy it, and it fits. But I’ve discovered that I have a calf problem. Or some boot makers are making their boots way too skinny for my style. Last week, I ordered these little darlings from the Kate Spade sample sale. They arrived the next day and I was so excited to wear them. But it was not meant to be. I tried them on and the calves were tight. Forget about any room to tuck in jeans or leggings to the rain boots. These were putting some pressure on my legs without tights, jeans, or leggings. It was gross. I can understand chic tall leather boots with a skinny calf, but rain boots? Really Kate Spade? This is not a new thing. I should have known better. I hate boot shopping. It makes me feel like I have fat calves. Now, my calves are defined; my legs are not stick thin, but for goodness sake, I wear a size 4. I'm hardly fat. But to try on these boots, one would think I would need to rev up my workout routine. I don't know who could wear these. Seriously. Maybe she is right. In the meantime, I’m boycotting tall skinny boots and am going to make do with the ones I already have to avoid the trauma of any more boot shopping. PS Lilly Pulitzer: Pretty please bring back the Swellies from a few seasons ago. 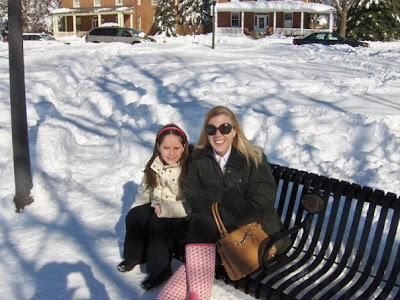 They were perfect in 2010 for the snowstorm of the century. And I can tuck my jeans into the boot! Story. of. my. LIFE! I'm boycotting boots and wellies until I get lipo on my calves for they start making boots to fit MUSCULAR calves! OK, I dont know what kind of boots you need, but I went to Nine West Outlet store in Arundel Mills mall. Found MANY boots that actually I was wondering if they looked silly b/c the calf part was so big it stuck out. But they were comfy so I kept them. Good luck! Oh, that's too bad! Those are so cute! I feel your pain about boot shopping... but for a different reason. I have really puny ankles. Tall leather boots are always really baggy in the ankles on me, making them look ridiculous! I really think there should be a different sizing system for boots, accounting for ankle and calf measurements. That way we could all find the perfect fit! I have the same exact problem. I love, love, LOVE the look of jeans tucked into boots, but my calves are too big for every boot I find. I know there are some lines that make "extended calf" sizes, but maybe I am too vain for that, haha. I just have athletic legs, darn it! If I try to jam my calf along with a jean into my Hunter rain boots it's an absolute nightmare and I end up with marks all over my legs - I was a swimmer so I know I have larger calves, but still. Then I ordered a pair of Frye boots that I couldn't even zip up, thank goodness nordstrom stretched them! I'm with you girl lets protest skinny boots! I have felt the same way the last couple of years. J Crew wellies are too skinny too! Uggg...same problem! I know so many people who have the same skinny boot problem! It's almost an epidemic! I just stumbled across your cute blog and I couldn't agree more! I have the same problem! I am a size 6 and 5'2 and I wouldn't say I have HUGE calves but I guess when it comes to boots I do! I have noticed that Nordstrom online has lots of boots that are for "wide calves". I am going to take my wide calves up there are try them. Good luck on your boot search! You are not alone! I have the same problem too! I had to get my Hunter Boots in short because I couldn't fit the regular tall boot on my calves. Oh well. The mission continues for the perfect pair of calf-fitting boots! I've had the same problem! Hunter's new line "Huntress" is made for more muscular calves. I plan to check them out. I've also found that I need to measure the circumference o my calf before ordering any boots online lest I make the mistake of purchasing "skinny boots" which I have done too! 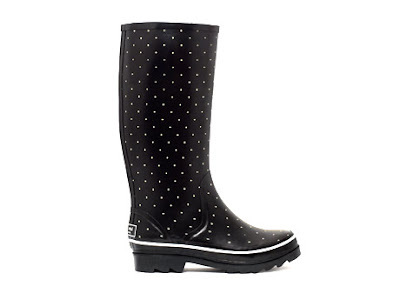 Try the new Sperry rainboots... super cute. Just like Hunter rain boots in cute colors with the liners. I had the same problem with the Hunters but the Sperrys are perfect and half the price at only $65 and they are fleece lined! I bought some narrow calf ones at Newyork a few years ago by a company named Slimcalf boot. I love them because I can adjust so they always look nice whether wearing over tights or thick jeans.